Fly fishing for trout. Hand gun target shooting. One day in study hall I got the hiccups. Every time I'd hic, the whole class would erupt in laughter. Mr. Schooley was not amused. Finally, when everyone was rolling in the aisles, Mr. Schooley sent me to the office to get a 7th hour. When I showed up for my 7th hour, Mr. Schooley let me off the hook. He said he had to do something to restore order. For weeks after that, whenever someone would see me in the hall, they would "hic" and the laughter would start all over again. Went to college at KSTC Emporia, and then transferred my Sophomore year to Morningside College in Sioux City where I graduated in '69. I went to work in the distribution business, and later became a buyer, merchandise manager, and later VP of Sales of three different companies. Because my college degree was in Religion, I began lay speaking in my church. That turned into a part-time pastorate, and I returned to seminary to get my credentials. I have served six churches, and remain in part time service. I have two children and seven grandchildren. Sheila and I have been married for 49 years. I have traveled in all 50 states. David Smith has left an In Memory comment for Jack Suman. I remember Jack as a guy that always looked serious, but had a great sense of humor. He was part of a group of guys that used to go snake hunting at Shawnee Mission Park. Teacher Scott Irwin was our mentor, as was teacher Audrey Smith. Was sad to learn of his passing. He joins Terry Pence, Herb Skaer, and Rod Melchert as snake hunters who have gone on before. I was glad to hear from his obit that he lived a good life. I will smile when I hear his name. David Smith posted a message. Happy Birthday Randy. Hope your day is nothing short of AWESOME! David Smith has a birthday today. HAPPY BIRTHDAY, CHERYL!!! Hope you find a way to stay warm and enjoy your day. Go Chiefs! 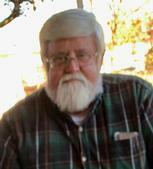 David Smith updated his profile. View. David Smith changed his profile picture. David Smith added a comment on his Profile. Just checking in to see how you and Paul were doing. Hope you have a happy Thanksgiving. David Smith has a birthday today. New comment added. David Smith posted a message. New comment added. Happy Birthday, George (you old Viking). Hope this one is your best ever!!!! Happy Birthday you old codger! I never thought either one of us would live this long. Guess that means each day is a gift. Or it could mean that Sharon did a really good job of keeping you out of trouble. Hope this one is your best birthday EVER! Great to see you at the Reunion and at church. Travel safely on your way back home. I enjoyed meeting Kirk. I've been trying to find a way to send you a friend request on Facebook without success. Missed you at the Reunion last night. It was awesome! Missed you at the Reunion last night. Hope you've had a wonderful life. Somehow I always knew you'd be successful at what ever you attempted in life. You would have received my vote for "most likely to succeed" back in 1965 if we had such a thing! David Smith joined via Class Connection Facebook app. So Happy Birthday again (since I think all my emails to you wind up in your SPAM folder). Still wondering why Sharon doesn't have an SMW profile on this site. Are you kids going to the Reunion Dinner? I have signed up for it. Hope to see you there! David Smith has left an In Memory comment for Herb Skaer. i remember Herby as a guy who was always smiling and laughing. He brightened up everyone around him with his jokes and comments. It's hard to believe that he and Rodney Melchert are both gone. We had a lot of fun together at SMW. They say the good die young. That was surely the case with Herb Skaer.